We have a room upstairs that up until a few weeks ago was just sitting there. I hadn't decorated it at all in the 16 months we've been here. In fact, I think the furniture was sitting where the movers put it when they carried it in last June. I recently decided it was time to take care of business and make something out of this space. but it would be really silly because we have what we need already. So I worked with my red couch and green chairs that were just recovered about 4 years ago. Those colorful wooden orbs kind of inspired the colors I wanted to use overall. My hope was to make the room less formal....just a fun place to hang out. 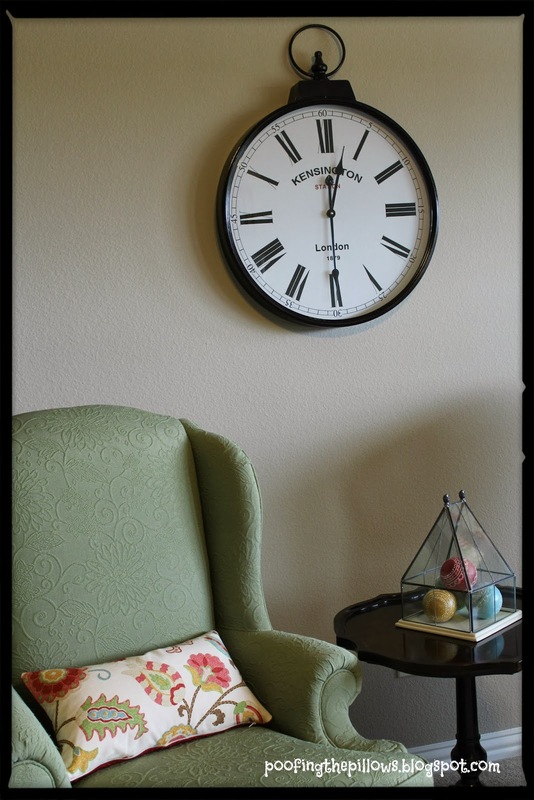 I found that huge fun clock at Kohl's for $30.00 a few weeks ago!! This fun floral fabric really helped me pull together what I already had and still make it new. I spotted this fabric when Shirley at Housepitality Designs was using it on her bar stools. She was so sweet to send me a swatch. The fabric is Braemore Selim Punch. The pattern is fun and fresh. It looks like crewel work from a distance but it isn't. After Pinning about a hundred gallery walls, I decided to incorporate one above the red couch. We already owned everything you see. I did remove old art work and spray paint some frames. The snapshots are clipped onto wires and will be changed regularly. My sons are 24 and 21. Am I the only mom who can't stop looking at their little child faces? I just keep pulling out old pictures all the time. There's still a little more to be done. Laura at Finding Home Online . Oh, I LOVE, LOVE, LOVE your red fabric on your couch!! I know you said you got it done 4 years ago, but do you remember where you got the fabric, or the name of it? Love it! Great colors & accessories! I especially like the picture wall. It looks like a very restful space. Love those pillows and curtains, and really love the orbs, those are my fave colors! Thanks for sharing with us, I saw you link at Tweak it Tuesday. Missed you!! Wow love the choices, especially love the wooden balls and the frame with the wire! Love that pillow / curtain color / fabric! The pillow fabric ties it all together so well and I love the frames with the wire and clips for the snapshots! Great job using what you have. It looks great!! We must have similar taste because I love your curtains! 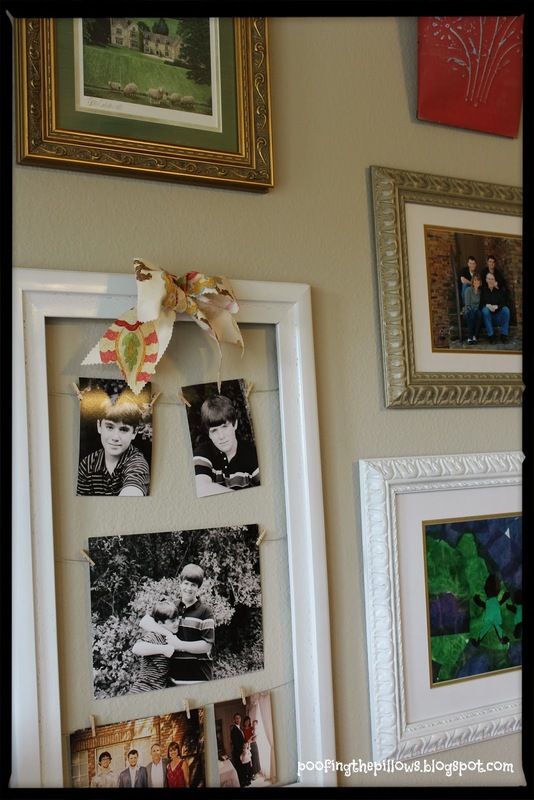 I also love your frame/photo hanging thing. How fun and easy to change it out when you get new pictures. Stacy, it is looking so nice. Love the fabric and the orbs. Great job on the gallery wall! I think you pulled it all together so nicely. Our bonus room is a hang out for the kids. I've got a collection of old toys up there. Great job with your bonus room, Stacey! I love that fabric, too. I've made a shower curtain from it before. You're right it does look like crewel work from a distance. Such a fun, vibrant fabric that works perfectly with your existing furniture! You can stamp this makeover as a successful one...looks like all requirements were made and not much money invested at this time. I love the couch! Those are my favorite colors! I can't wait to see the whole room. That fabric is fantastic! I love that paisley pattern in the curtains! enjoy your bonus room! Don't feel bad. I've lived here 14 years and still can't figure out what to do with my bonus room. 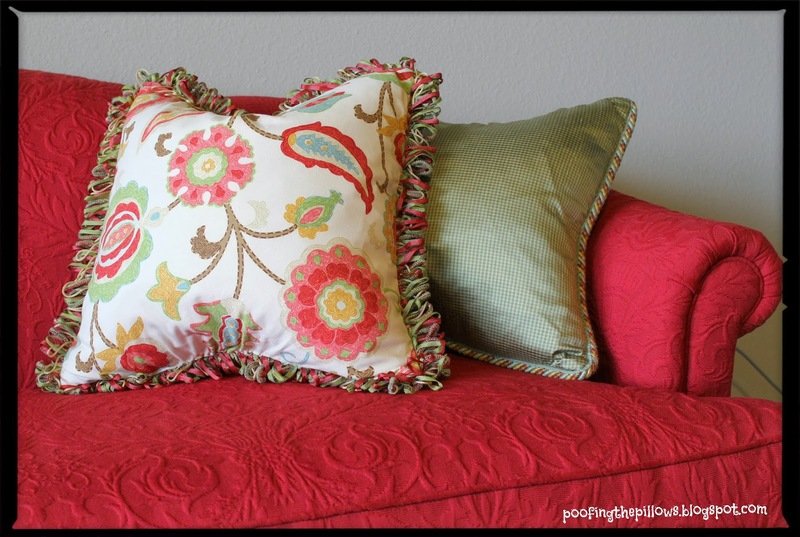 I love the color scheme you have chosen and that fabric is so pretty and cheerful. BTW, thank you for your kind comments on my recent post. 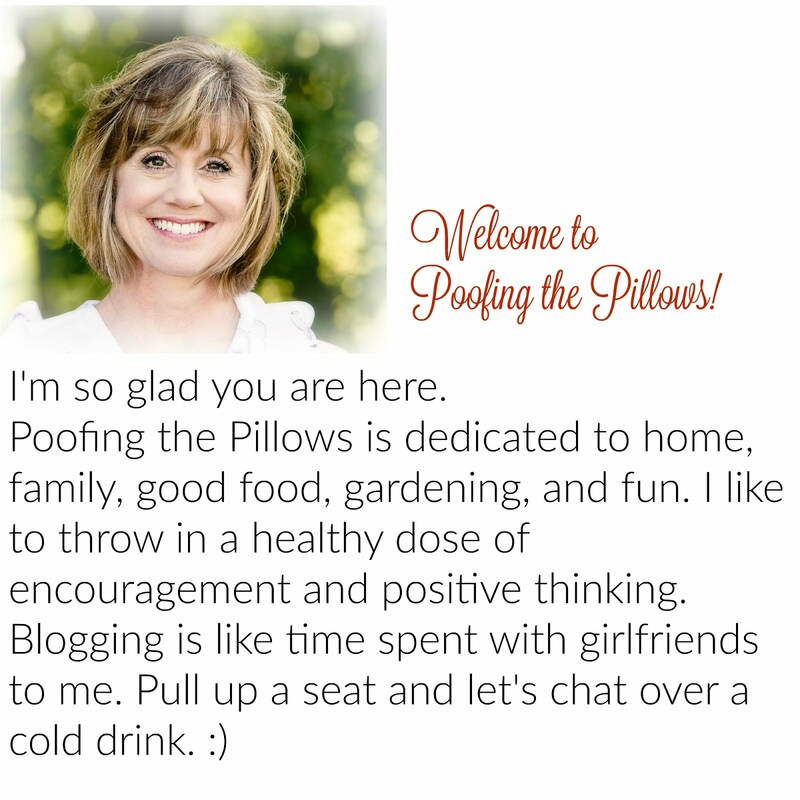 I found I didn't like being away from blogging and the wonderful friends I have made here. Love the picture wall so wonderful. Love your drapes too that print is fabulous. It all looks so pretty. I really like your new fabric. What a great way to give additional life to the room and pull everything together. And the wire and clothes pins hold photos in the frames is so very clever. Do you find yourself using that room often now? I would love to have a bonus room. Maybe once my daughter goes off the college. I love your curtain fabric. 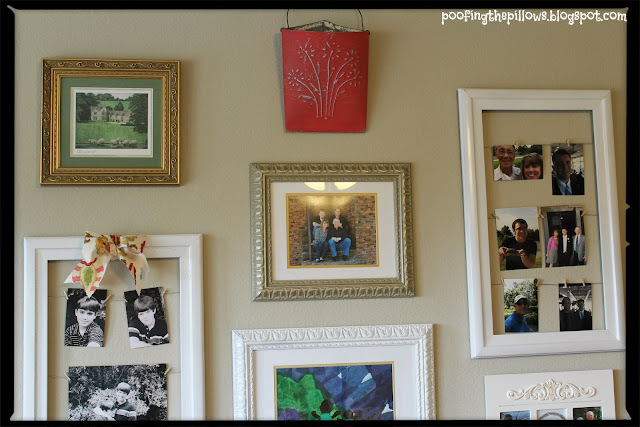 Your gallery wall is really nice addition to the room. The room looks beautiful and very cozy! I just love your decorating style so much, Stacey! Everything looks beautiful! Pretty,pretty,pretty! I love the colors you used! I looks like a fun cheery place to hangout - LOVE the red couch. We used to have one when we had a family room.I have photos of my 21 year old when she was little all over my office bulletin board. They just make me smile! The printed fabric is beautiful! And I can't believe you have been hiding that amazing red couch from us :) What a great room to hang out in. You nailed it with this one!! I turned Abby's room into a college hangout for Texas/OU weekend, with an Ikea sofa from Craigslist and anything else I could find around the house. I should blog about it, and would if we ever get sun again. Are you going to Canton? I wanted to go in the morning but we don't have a boat :( I feel so bad for them. I might run out tomorrow afternoon if it clears up! Love how you've put that room together so far! The curtains are beautiful. I like that fabric very much. What a fun, beautiful, and creatively done room to hang out in! When you put your mind to something, everyone of us is eager to see the end result. I think you did a lovely job, and I am impressed with the wall of pictures. Can't wait to see what is coming. stacey, your room looks like it is coming along beautifully. I love your red sofa! You will enjoy your gallery wall I'm sure. My girls are 24 and 25 and I miss their little faces. I have a gallery wall with all their growing up pics. and sometimes just get lost in all the memories there. Have a wonderful weekend! Stacey, I love love love it!!! Want to see more! PLEASE! That fabric is so FUN looking!!!! Wow! Are we in for a future treat, judging from the changes already made! Love that floral fabric on the curtains and in the pillow, complementing the RED! (yay!) couch!! So pretty! Beautiful room! 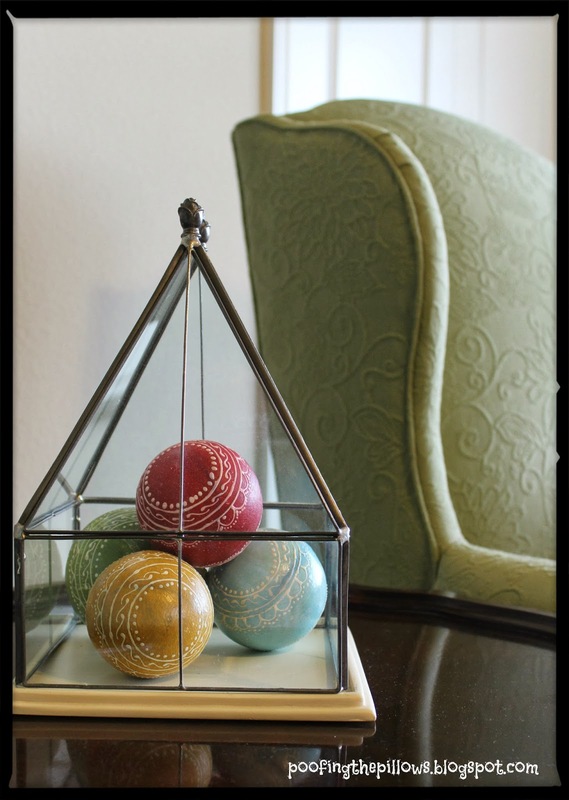 I love the colored orbs in the glass box that set the colorway for your room...so fun. That fabric on your pillow does look like crewel work and it pulls together all the room's colors just great.